Click to see Flickr set and more image size options. 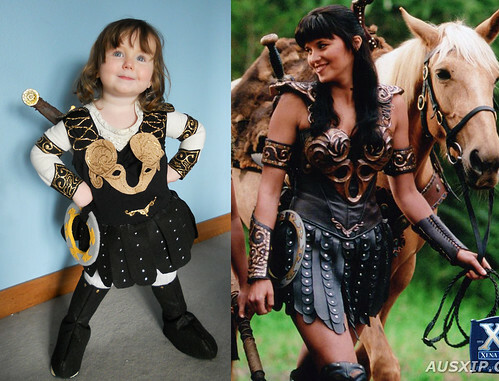 I like how Xena gazes approvingly at Mini-Xena. Anyway, I have a bunch of costume-building photos, but I'm not going to have time to assemble and document all that this weekend. But I did want to at least get one good photo out there, so everyone can admire. Much thanks to sanguinity for her excellent work on the chakram!